I’ve completed a course on beekeeping at Llysfasi College and have just up my first beehive in the garden. I’d recommend the course to anyone local thinking of getting started as a beekeeper. I’ve joined the South Clwyd Beekeepers Association which is a great support. We have regular meetings, including apiary meetings, which area great for beginners. All the experienced beekeepers that come along are brilliant at sharing their expertise. 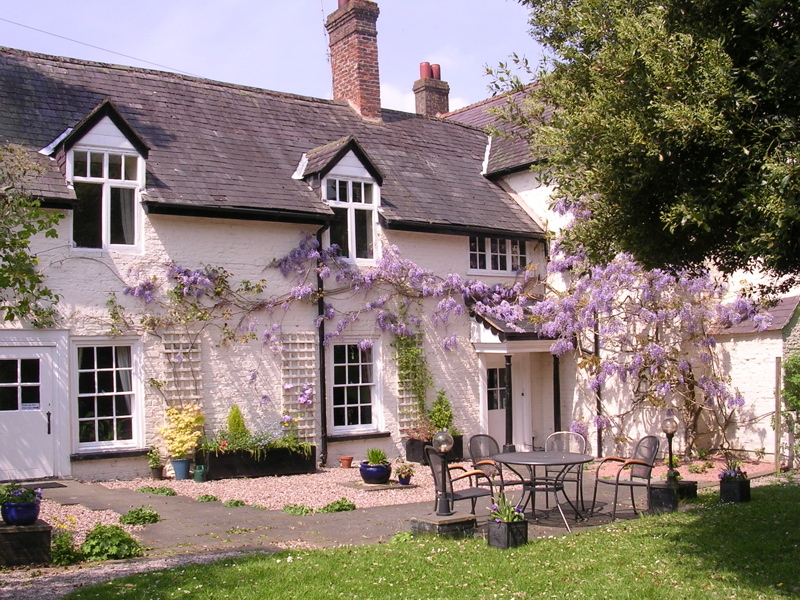 Our house is in Efenechtyd, near Ruthin, north Wales and we run a bed and breakfast. 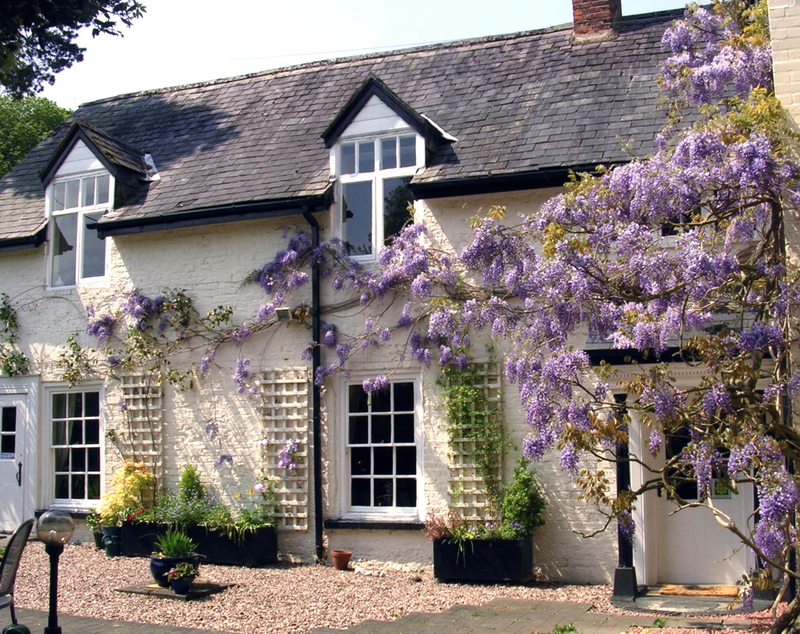 Welcome to beekeeping (and your wisteria is lovely)! Very glad to have found your blog! A friend keeps several hives in our garden – I’m just starting to learn more about bees, and hoping to have a hive of my own to look after one day…Hope your bees are doing well. Many thanks for your kind comments. I hope you do start to keep bees as they are fascinating. I recommend taking a course or joining your local beekeeping association to get you started. 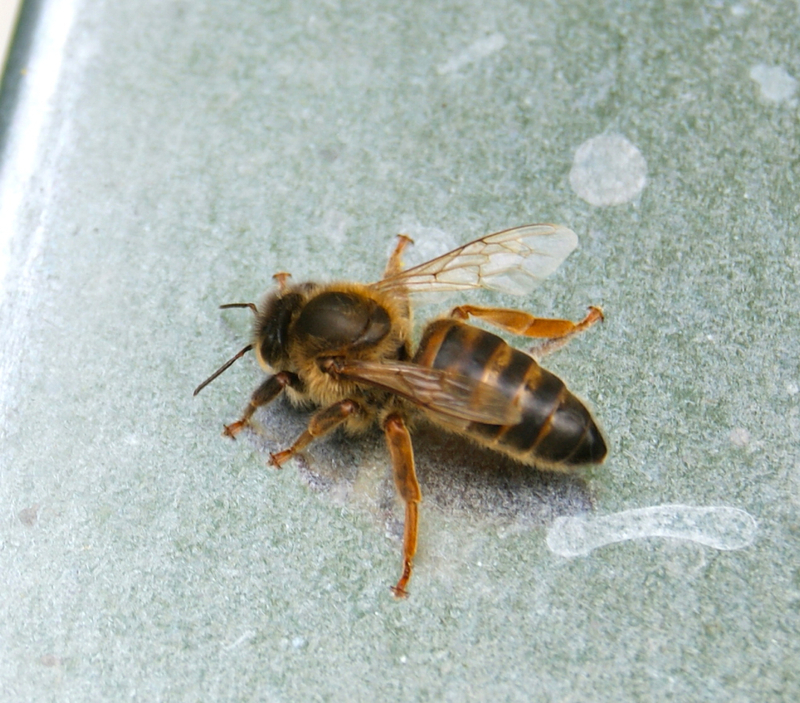 I’ve found beekeepers to be very generous with advice and help and I’ve needed a lot of both. Unexpected things happen and it’s hard when you lack experience to know the best course of action.